The Amazon forest is one of the world’s most complex, unknown and threatened ecosystems that holds a considerable part of biodiverse species in different groups. This ecosystem needs greater scientific attention so that we can better understand the features of the fauna, flora and microbiota to conserve species before they disappear. Thus, this book addresses issues about resources of the largest rainforest of the world. Microbiota, fauna and flora are investigated differently, providing information of ecological interest, pharmaceutical and/or economic importance. Specialists and scientists that work in Amazonia can access new information about the species that inhabit this region with unprecedented advances on ecological and behavioral aspects of apple snails, meat yield and nutritive potential of crustacean species, tadpole knowledge, mitefaun in agroecosystems, pharmaceutical potential of plant species, computational models for flora cultivation, and reviews of microbiota composition of Amazonia. Scientists will acquire knowledge about aromatic plants from the Amazon and their applications, which include uses in perfumes, fragrances, cosmetics, phytopharmaceuticals, insecticides, fungicides, bactericides, larvicides and others. Regarding the microbiota of different Amazonian environments, the book is intended to present information about applications related to mycorrhizal fungi and endophytic microorganisms. 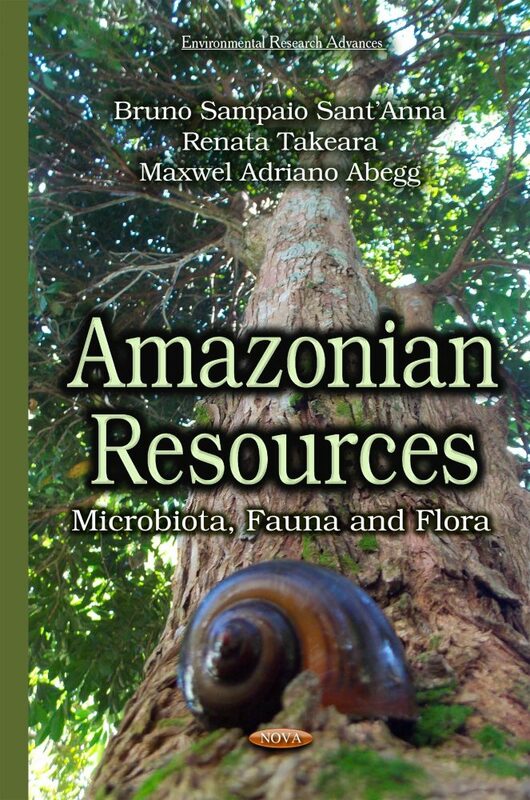 This book will be relevant to ecologists researchers that work with fauna, bioprospection of pharmaceutical substances from plants, microbiota with medical, ecological and/or economic importance. Besides researchers that works with chemistry of natural products can use this publication for knowledge the aromatic plants studied in the Amazonian region. Chapters related to microbiota are intended to provide for researchers and up to date view of the biotechnological and agronomical uses of different species from a variety of niches.